The search for that elusive elixir that will keep our youthfulness intact has lead to a tremendous amount of research in the field of anti-aging solutions. Many studies have found promising results in the antioxidant named Resveratrol. Resveratrol is a naturally substance found in abundance in red grapes and as a result in red wine. It is considered to be the secret of the youthfulness and the heart health of the French, despite their high fat diet. Lets take a look at the anti aging benefits of resveratrol. Resveratrol is a chemical compound that is naturally occurring in the peel of red grapes in high concentration. As a result, it is also present in red wine. Resveratrol can be found in peanuts and raspberries too. The chemical is synthesized by the plants in order to defend themselves against fungi, sunlight and changes in the climate. When it is consumed, it passes on the protective benefits to us. Resveratrol has been observed to help produce SIRT1, a gene that is known to burn excess fat in the body and slow aging process. It helps in inhibiting cancerous cells from growing and multiplying. The polyphenols in resveratrol prevent oxidative stress of the blood vessels. 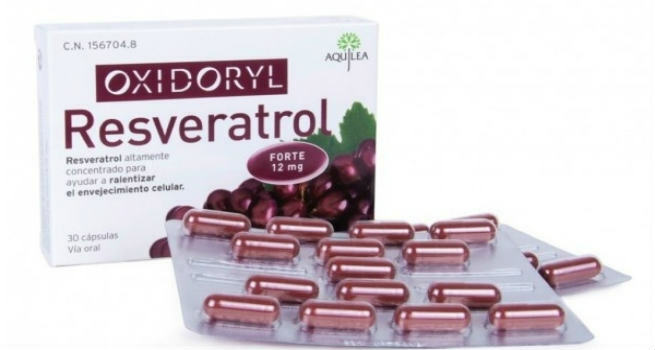 Resveratrol helps in flushing out toxins and pollutants from your system. Once your body is rid of these toxins, you will automatically see a natural glow in your skin. Being an antioxidant, resveratrol protects the cells of the body from oxidation – one of the main causes of aging. Resveratrol also promotes cell regeneration, a mechanism that slows down with age. When the cell regeneration occurs at a normal pace in the body, the body remains youthful. Resveratrol is also helpful in reducing the inflammatory responses in the body which slows down the process of aging. How can you derive the benefits of resveratrol? 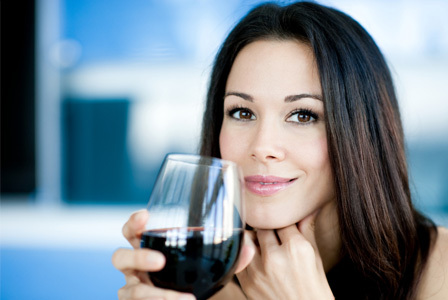 Drinking red wine is said to be the best natural way to consume resveratrol. The concentration of the antioxidant is higher in red wine when compared to that in grapes and raspberries. Drinking red wine increases the amount of resveratrol in the body and reduces the risk of heart disease, cholesterol, cancer and Alzheimer’s disease. However, an adult needs about 200 mg of resveratrol every day which is impossible to get by sipping on one glass of red wine. If you are a teetotaler, then you can go in for dark chocolate as cocoa also has a high concentration of resveratrol. Blueberries and pomegranates also also rich sources of the antioxidant. Resveratrol supplements are available over the counter and can be used to get your recommended dosage of the antioxidant everyday. Look for the trans-resveratrol variant since it is the most active form of the compound. To derive the maximum beauty benefits of resveratrol, you can go in for anti-aging creams that are infused with the antioxidant. These creams will help you keep the skin youthful and glowing. 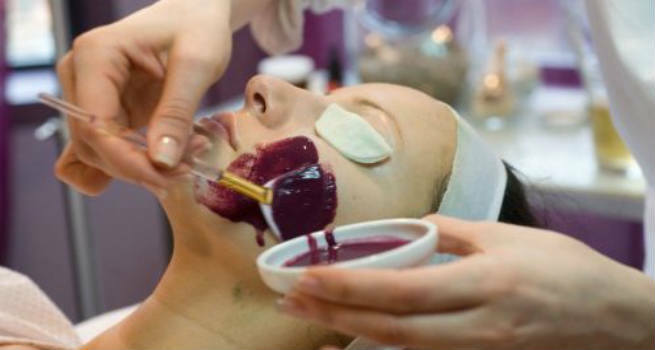 You might even try one of those wine facials at your nearest salon and perhaps stumble upon the fountain of youth in the process! Now that you know about the anti aging benefits of resveratrol, be sure to include it in your food or supplements so as to live a longer and a more youthful life.